" Not much to say about this except that it does what its designed to do. I don't regret the purchase. Recommended. " " I found it to be very helpful not leaving indentations on the face. " 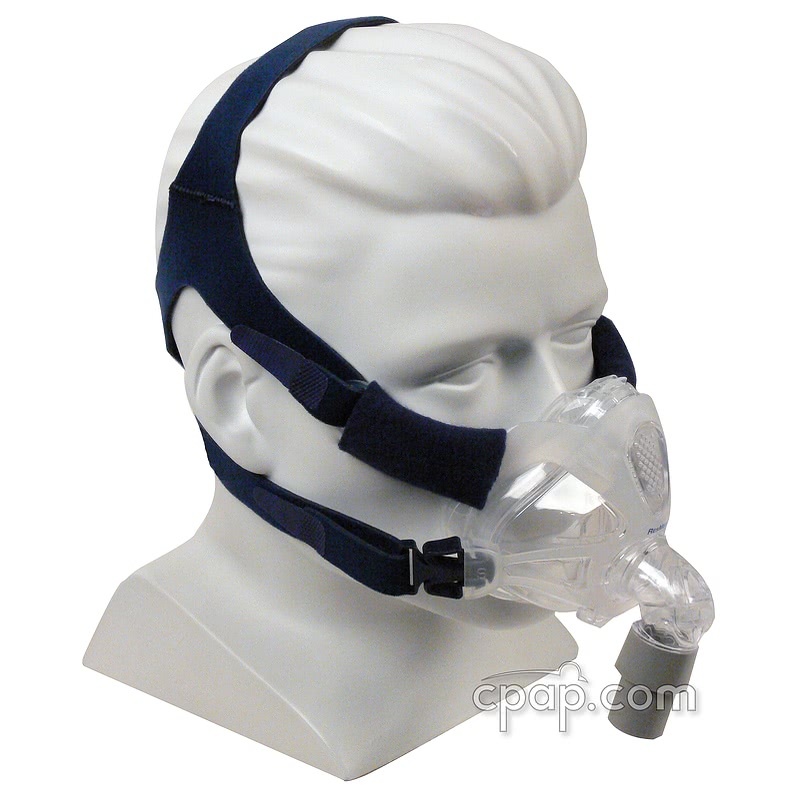 The SnuggleMini for Quattro™ FX Full Face CPAP Mask is made specifically for the top head straps of the Quattro FX Full Face CPAP Mask. 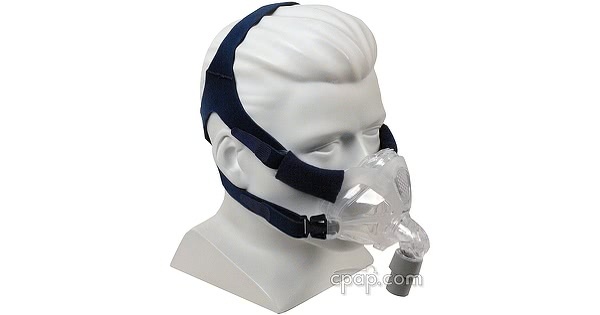 It is designed to replace the original covers that come with the mask. Made from a soft, breathable polyester fleece, the SnuggleMini for Quattro™ FX Full Face CPAP Mask protects the cheeks against red marks and irritation that may be caused by straps. 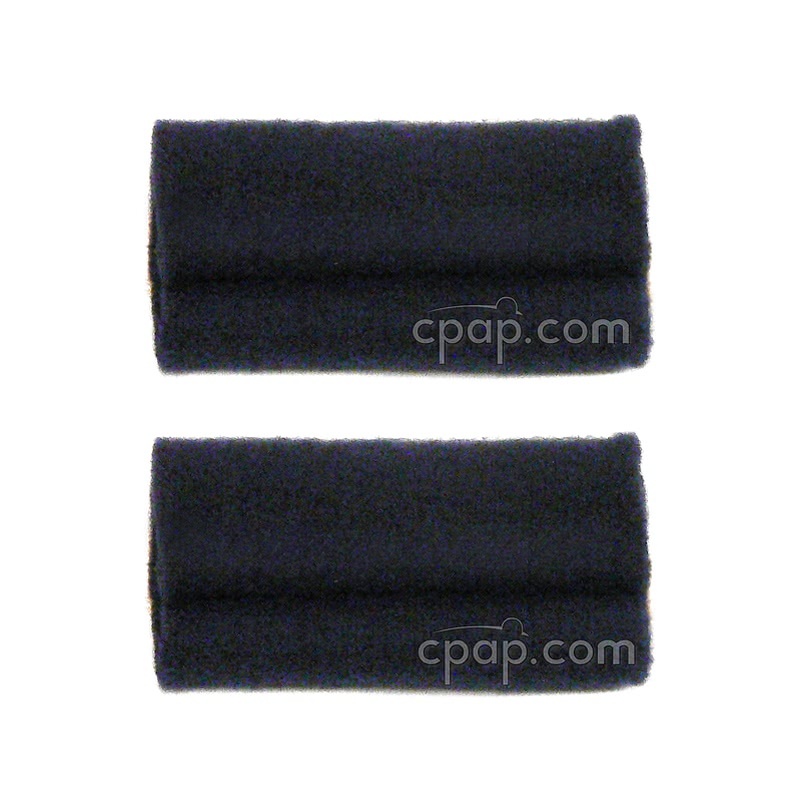 To use, unfasten the hook and loop closure at the headgear/mask contact point. The SnuggleMini easily slides over the plastic portion. Two SnuggleMinis are included in a package. COLOR NOTE: Color shades may vary. Slight variances in the color of the product does not affect the function. The SnuggleMini for Quattro™ FX Full Face CPAP Mask can be machine washed in cold water on a gentle cycle and machine dried on low heat. To prevent attaching or wrapping around other clothes, it is recommended to fasten all velcro fasteners or place in a dedicates bag. Alternatively the SnuggleMini for Quattro™ FX Full Face CPAP Mask can be hand washed in cool water and laid flat to dry.